Bryan County Schools has six schools that recently received the Georgia Department of Education’s highest recognition for their work with Positive Behavior Intervention and Supports (PBIS) implementation. 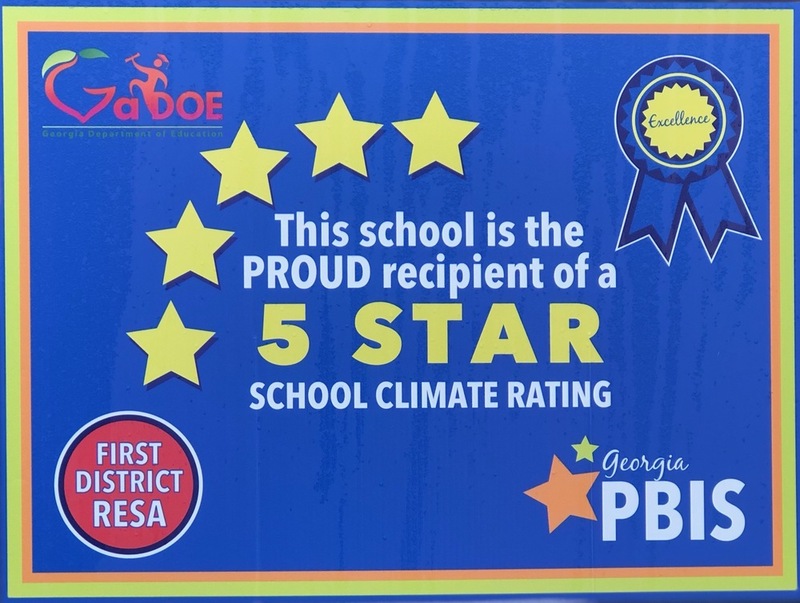 Lanier Primary, Richmond Hill Primary, Richmond Hill Elementary, Bryan County Elementary, McAllister Elementary, and Richmond Hill Middle received the Five Star School Climate Rating. PBIS is an evidence-based, data-driven framework proven to reduce disciplinary incidents, increase a school’s sense of safety and support improved academic outcomes. PBIS is a preventative and proactive framework proven to improve school climate by promoting positive relationships between school personnel, students, families, and other stakeholders. The premise of PBIS is that continual teaching, combined with acknowledgement or feedback of positive student behavior will reduce unnecessary discipline and promote a climate of greater productivity, safety and learning.